Vraneković, J., Babić Božović, I., Grubić, I., Wagner, Z., Dahoun, S., Frederique, B. ... Brajenović Milić, B. (2012). Down Syndrome: Parental Origin, Recombination, and Maternal Age. Genetic Testing and Molecular Biomarkers, 16. (1), 70-73. doi: 10.1089/gtmb.2011.0066. Vraneković, Jadranka, et al. "Down Syndrome: Parental Origin, Recombination, and Maternal Age." Genetic Testing and Molecular Biomarkers, vol. 16, br. 1, 2012, str. 70-73. https://doi.org/10.1089/gtmb.2011.0066. Vraneković, Jadranka, Ivana Babić Božović, Ivana Grubić, Zorana Wagner, Sophie Dahoun, Bena Frederique, Vida Čulić i Bojana Brajenović Milić. "Down Syndrome: Parental Origin, Recombination, and Maternal Age." Genetic Testing and Molecular Biomarkers 16, br. 1 (2012): 70-73. https://doi.org/10.1089/gtmb.2011.0066. Vraneković, J., et al. (2012) 'Down Syndrome: Parental Origin, Recombination, and Maternal Age', Genetic Testing and Molecular Biomarkers, 16(1), str. 70-73. doi: 10.1089/gtmb.2011.0066. Vraneković J, Babić Božović I, Grubić I, Wagner Z, Dahoun S, Frederique B, i sur.. Down Syndrome: Parental Origin, Recombination, and Maternal Age. Genetic Testing and Molecular Biomarkers [Internet]. 2012. [pristupljeno 24.04.2019.];16(1):70-73. doi: 10.1089/gtmb.2011.0066. The aims of the present study were to assess (1) the parental origin of trisomy 21 and the stage in which nondisjunction occurs and (2) the relationship between altered genetic recombination and maternal age as risk factors for trisomy 21. The study included 102 cases with Down syndrome from the Croatian population. Genotyping analyses were performed by polymerase chain reaction using 11 short tandem repeat markers along chromosome 21q. The vast majority of trisomy 21 was of maternal origin (93%), followed by paternal (5%) and mitotic origin (2%). The frequencies of maternal meiotic I (MI) and meiotic II errors were 86% and 14%, respectively. The highest proportion of cases with zero recombination was observed among those with maternal MI derived trisomy 21. A higher proportion of telomeric exchanges were presented in cases with maternal MI errors and cases with young mothers, although these findings were not statistically significant. 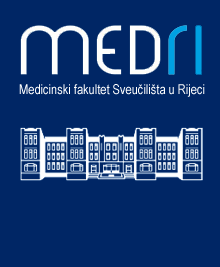 The present study is the first report examining parental origin and altered genetic recombination as a risk factor for trisomy 21 in a Croatian population. The results support that trisomy 21 has a universal genetic etiology across different human populations.